You can’t be a programmer without practicing a lot (at least not a good programmer) and when you practice, you develop programming habits. It is very hard to separate good and bad programming habits because of the diversification of programming languages and platforms but there are some habits that never yield good result. It might take them a while to reveal their bad side but eventually they do it would cost you productivity, performance, effectiveness and efficiency. 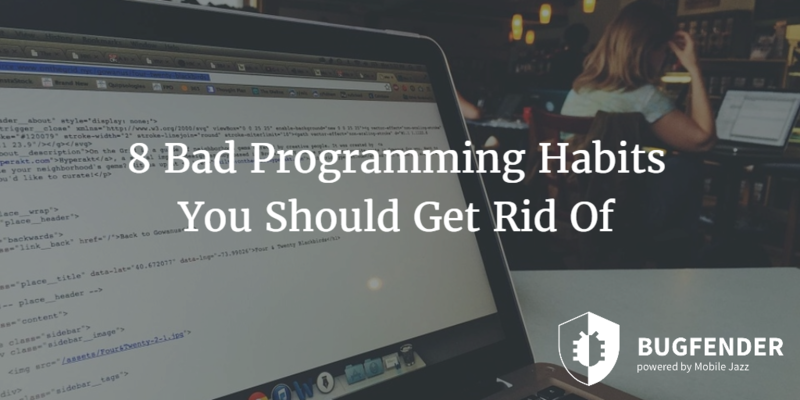 Let’s talk about some bad programming habits you should get rid of as soon as possible. We have tried to emphasize their impact on your overall work and productivity so you can understand the concept. You might think your code is the best solution and the most optimized way to get something done but there would be people in the world who probably can do that job better than you and who might think your code is piece of junk. So when you write a code, never assume it’s the best one but always try to make it even better in any possible sense. Depending on your platform and that specific job, there would be ways to make it better; all you have to do is discover those ways. Taking shortcuts is a huge risk in programming and you should weigh pros, cons and chances of disaster before you take them. It is not worth taking shortcuts to save some time and taking huge risks that could cripple the entire product, slow it down or do other unexpected things. Of course the evaluation of the risks and benefits of that shortcut could take some time but at least you would know what you are going to do and what possibly could happen. On the other hand, some shortcuts could be useful but never blind trust any shortcut. In programming, “Done” or “Complete” refers to “tested” instead of “coded”. This is a simple yet very important concept that every programmer much understand. Coding is just a small part of the life cycle of a software or mobile app. It’s the raw structure of the product and without testing it we cannot say it is done and it is ready to launch. That’s no brainer for programmers who have experienced the frustration of losing valuable code just because they didn’t properly document it. Of course it seems easy to understand your own code regardless of its structure and everything because it’s your own but there are two problems associated with it. First of all, it would be extremely difficult for other programmers to understand it and secondly after a while and after working on other projects, you won’t be able to understand your own code. You might be working solo on your project now but there are chances that in the future other programmers would take a look and they won’t be able to understand it. That’s why it’s important to make documentation. Typos are a real problem and unfortunately there is no clear solution to resolve this issue entirely. However there are some techniques that you can use and mitigate the risk. First of all you should understand the importance of writing the code in the first attempt without making any error or slip. In some unfortunate situations, finding a bug could take more than then the coding itself. The frustration alone could demoralize anyone and especially if you work solo, it would be a catastrophe. 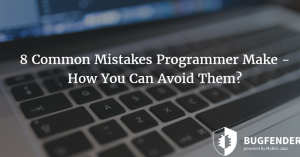 The easiest way to reduce the chances of making such mistake is using good programming platform with well designed interface and strong integration of syntax verification. Although software development is one of the core areas of computer industry but still it’s full of surprises and you cannot possibly predict everything with a high accuracy. According to some experts, it is impossible to accurately estimate the software development life cycle for non-trivial problems and their solution. Plus, as a programmer you cannot consider all of the possibilities and problems that you can encounter. A problem that seems easy to solve at first and has obvious solutions might bring other complex issues. So, “I’ll fix it later, it’s easy, it will take few minutes” is a misconception and it’s a pitfall that you should avoid. Version controls are quite difficult to learn for new programmers but we you get your feet wet, it’s simple and straightforward. Version control has tons of benefits and regardless of what platform you are using, learning how to use version control and how to move to second level programming is important for a programmer. However, you need to start learning about version control as soon as you can because this kind of habits develops in years. At first you’d consider it a time consuming and unnecessary activity but actually version control could save you hours and days. Contrary to what non-programmer (and even some programmers) think, programming is not just about writing hundreds or thousands of line of codes but a major part of it is discovering the flaws in your product and make it faster, more reliable and more productive. The only way to find troublesome parts of your codes is testing; interestingly, in some cases testing takes more time and resources than the coding itself. Even if you cannot afford staff to do testing, you can still use testing tools to test your mobile apps. What Bugfender Can Do Here? 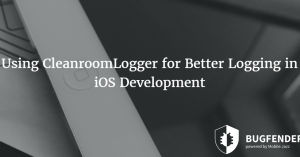 Bugfender is a testing tool and platform that is specifically designed for programmers who want to overcome with problem of Android or iOS fragmentation as there are tons of devices and it is not feasible, economical and sometimes even impossible to test apps on each device individually. Bugfender is a smart way to get things done remotely by getting real time data from devices and make necessary changes as soon as possible. The idea behind Bugfender is to discover the bugs and fix them before your users discover them. Unlike many other testing tools, Bugfender not only reports the crashes but it also analyzes the abnormal behavior of apps that make apps unreliable but doesn’t crash them. as_slack Created with Sketch. as_starbucks Created with Sketch. as_autodesk Created with Sketch. as_menshealth Created with Sketch. as_aimail Created with Sketch. as_taxify Created with Sketch.